I have to admit: I’m not done reading yet! Many of you have heard of Lean In, by current Facebook and former Google execute Sheryl Sandberg, to start the conversation about women in leadership and why there is a lack thereof. I sometimes blog about my travel with the slant of doing so alone as a female. What I tend to mention less is my work and being a woman in a male dominated workforce. I had considered work a territory I won’t go into in this blog, as I find it blurs the line of professionalism once I start venting or gossiping about that side of my life. Sandberg’s book, however, resonated with me. It would with any female professional, especially those of us who have well-established careers. There was no way any woman could work this long and not encounter an incident or anecdote similar to those that Sandberg shared from her own experiences in the book. I’ve now set into a brief routine of reading a chapter at a time, then going into work with the most recent chapter in mind and being aware of my behavior likewise or otherwise. I am a book snob. I will always evaluate writing style. I’m a terrible writer myself, but I love to read. 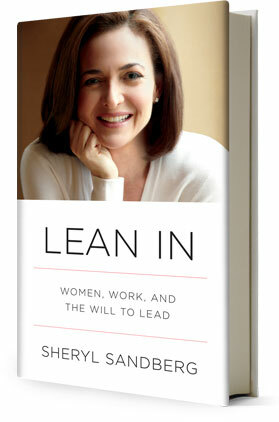 Lean In is rather basic in writing style. It won’t be wining any Pulitzers. It’s is a narrative, in a didactic style. Sandberg wrote in her introduction that the goal of this book is to serve as a conversation. She accomplished that. At times, I could imagine her in front of the room, talking out these points to us in person. The book is a conversation and she wrote it as one. I recently was told quite rudely that I was not welcome to participate in a business meeting because I am a woman. The men who told me were mostly foreigners, of a culture I will refrain from specifying. My only salve was I wasn’t the only woman told that and that made the insult feel less personal. It still smarted. I considered myself the senior person present. As much as I knew it wasn’t directed to just me, it took a good week for the emotional reaction to subside, and another week of another project to distract me altogether. The rejection made me realize that this wasn’t the first time I encountered discrimination based on gender but that, in most of the past incidences, I had an incredibly supportive network that defended me when faced with such attitudes. I lacked it this time around and the hurt and humiliation I faced forced me to realize I needed to start standing up for myself. A female manager had approached me after that last rejection to give me a morale boost, try to keep me from getting too discouraged. She broached the topic of whether I would be willing to share my lessons and experience for those women who will follow. It was a bit of a reality check to be reminded that I may not longer be considered the newest working generation. At the same time, I never felt more empowered. That was when I started reading Lean In. Between the timing and the content, I felt like the book was written about me. I had barely finished the first chapter, The Leadership Ambition Gap, when I went online and ordered a copy to be sent to my father. Growing up in a conservative Asian household, I was taught humility is a virtue. My father once saw me in a somewhat professional setting and commented to me afterward that my confidence was “not pretty.” I felt anything but confident, but I had learned to exude it. In reading this one chapter in Lean In, I knew I had to send a copy to Dad. He adores the notion of accomplished tech sector executives and the book would have more credibility than I in telling him why I needed to appear confident, not humble. The Asian deferential attitude would not serve me well in an American business environment. The fact that I am a woman made it a double-edged sword. I can go on an on about how I related to the book. At the end, though, every woman can. Sandberg does an incredible job incorporating research that backs up the sentiments, even the subconscious, women feel in being treated differently in a corporate environment. Countering by changing our own behaviours as women isn’t enough.. an awareness needs to be established in the public as a whole. Sandberg attempts this by publishing.. let’s hope many more people, both men and women, will read her book. More importantly, while Sandberg started the conversation, we need to carry it on. 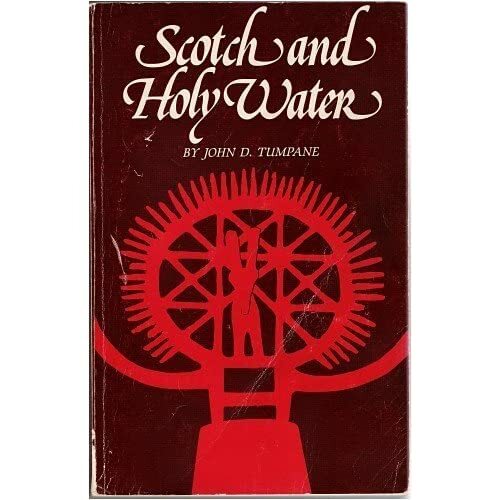 Scotch and Holy Water is written by an American expat John Tumpane who worked in Turkey for ten years in the 1960s. I have rarely read a book that I actually laughed as loudly as I did when working my way through this one. The book is a somewhat chronological compilation of events and narratives from the author’s time in Turkey. Each chapter can be read by itself, and not necessarily related to the one before or after. The narrative had a somewhat satirical and clearly self-deprecating tone. While my experience in Turkey amounts up to a short family holiday in Istanbul only, I have no doubt about the veracity of the stories. Could some have been embellished? Sure, why not. But, as any expat abroad can relate, some of these occurrences are so bizarre one has to go through to relate. And Tumpane has done an excellent job in culling out a small number of representative narratives that ranged from a simple question over a dinner table to a far flung road trip that spanned over mountain ranges, run away cars, cave hotels, and developing world bureaucracy. Being a fellow expat, I found myself relating similar experiences and envying the author’s ability to communicate his experiences so succinctly and humorously. The fact that my experiences were about half a century later didn’t take away from the similarities, showing how living abroad and culture clashes remain an ongoing source of life experiences, regardless of generation. If only I had that story-telling skill.. This blog would fare so much better! The book is no longer published but copies can still be bought online. I’ve said to friends and now I’m going out on a limb to publish: this book was such a snoozer. Call me a snob but books should be well written and well organized. That’s why I pay to buy them. Otherwise I could just as well browse the Internet for free and sometimes quite good content. The book Three Cups of Tea starts of well, detailing how Mortenson got lost and encountered the people who would then dedicate to helping. Adventure sits well with me. His description of the village was colorful, vivid, and empathetic. I especially give kudos for showcasing a people and county of so little resources and so much international political criticism in a more positive light. The authors also do well in explaining the kind of living conditions the remote areas of Pakistan face. Enough to start thinking no wonder why the US Military wasn’t able to get into the mountainous areas to look for Bin Laden (clearly the wrong path anyway, and now all overcome by events). The recount of the barriers he face in trying to find reputable people to do the construction at an acceptable pace.. I cannot begin to say how that resonated. While I resolve not to talk about work on my blog, the frustration and patience-testing experience of working with local workforces in foreign countries, especially those of questionable work ethics and business practices is hard to explain. Then the book just fell flat after they talk about the successful building of the first set of schoolhouses. hat was only about one third into the volume. I struggled with trying to finish it over two years. Picking it up, trying to chug on. I hate leaving books unfinished. Somehow I finished it a month ago and couldn’t wait to donate it. It will be put into good use at the library, I suspect. Better there than my eyerolling every time I glance at the spine lined up in my bookshelf. Mortenson more or less just tallies all the projects from that point on. He then covers his expansion into Afghanistan, which felt anti-climatical when it shouldn’t. Perhaps I’m not being fair. I generally prefer fiction and travelogues and this book wasn’t intended for the kind of flash and bang with a clean conclusion variety. Running a charity overseas is no small feat. And tedious, I’m sure. The tone and stype just fluctuated so wildly from the beginning to end it was hard to stay focused and my expections got ratcheted up too early. This is one of those when the expression “I’ll wait for the Cliff’s Notes version” finally made sense to me. I recently heard of the 60 Minutes exposure of the “Three Cups of Tea Scandal.” I have no opinion at this time. Frankly, it shouldn’t matter if I do. I hope, whatever turns out to be the case, that we don’t forget that many people still live in pretty basic living conditions, often without much thought from their governments. Mortenson had done what few people did- brought awareness. Whether his stories are true or not, there are people and villages like Korphe out there. Just remember that. What you do with that knowledge is now up to you. Daily Post topic: Grab the nearest book to you right now. Jump to paragraph 3, second Sentence. Write it in a post. Second Sentence: In 1832, Rama turned the temple into “Thailand’s first university” by decorating the walls with diagrams on history, literature, and animal husbandry. Wat Pho is one of Bangkok’s most famous attractions. 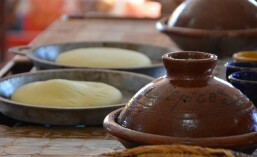 It is usually the first destination for tourists. Its immense reclining Buddha figure is so perfect for the perception and stereotype of glittery Thai culture with its deep religious roots. I did not know about the animal husbandry; if I have to accompany more visitors back to Wat Pho, you can bet I’ll be paying very close attention to the murals on that go-around! Wat Pho is also said to be the home of the Thai massage. There is a school on the grounds where you can get an 30-minute Thai massage from students. I forget what going rate is. It is truly unfortunate that the location is rather inconvenient. Every time I am there, it’s in the middle of a hot sweaty day out sightseeing. Getting a massage in my sticky condition only to have to continue trudging in the humidity never ever appealed to me. Don’t get me wrong. At the right place and time, Thai massages are a godsend and a great way for me to loosen up my muscles. I realize belately I should share the recipe if I was going to talk about making the food! 1. In a saucepan, heat cooking oil over medium-high heat. Add shallots and garlic and cook, stirring until brown. Add curry paste and cook stirring, for 2 minutes. 2. Add coconut milk and bring to low boil. Add chicken, reduce heat and simmer until tender. 3. Add sugar, turmeric, and lime juice. Stir and simmer for 10 minutes. 4. Meanwhile, in a separate pot, bring water to a boil. 5. Just before serving soup, add egg noodles to water and cook for 1 minute. Drain and split noodles to serving bowls. 6. Pour soup over noodles. 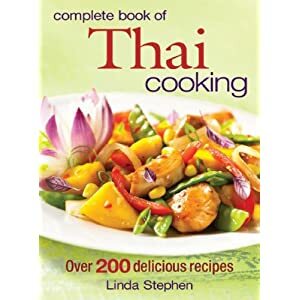 The original recipe is from Linda Stephen’s complete book of Thai cooking, by far one of the most usable and complete cookbooks for Thai food I have tried. Backing up, the book is not completely useless. Say you pick up a travel guide to the USA. Many of them will point out possible places of interest all over the country. It’s, however, very hard to differentiate between the importance/value/significant of a former gold mining ghost town from Gettysburg unless you already have basic knowledge of American history or unless the guide book writes a special feature on one. As foreigners reading objective tone-less guidebooks, it’s hard to prioritize. In comes books like 1,000 Places to See Before You Die. It provides, at best, a starting point to identify which locations have some more presence or may be worth going out of your way to visit. Key word: starting point. I was extreme annoyed to find the book populated with so many luxury hotels as the destinations themselves. Really? You’d recommend for someone to fly across oceans, continents, just for a hotel? No matter how luxurious the hotel. And the recommendations have a strongly luxury travel slant. Cruises valuing thousands of US dollars in third world countries. I’m all for pampering myself every now and then, but not to this volume or price. I put more emphasis in witnessing, if not experiencing, the local culture, which would mean less of the canned tour packages and more of figuring ways to get around myself. Say, Bangkok. One listed destination is the Sukhothai Hotel. While it is indeed a very nice hotel, why mention that instead of famous Mandarin Oriental Hotel? And, finally, a hotel, really? Ultimately, I don’t recommend the book. It wouldn’t be any different than any other books listing “top destinations” or “journeys of a lifetime” etc. While it has a few gems that I would never heard of without proper research, it serves, at best, merely a starting point. Recommended by JT, now I to you. Private Dancer by Stephen Leather is easy reading. Nothing fancy about the prose. But the story is related through first person narrative from multiple sources. 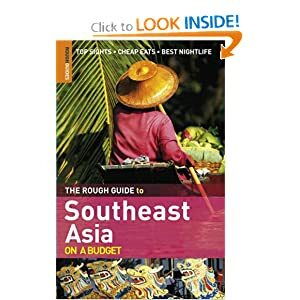 The book offers a startling and eye-opening perspective into the bar subculture in Bangkok, one that I would never otherwise know of. Despite the subject matter, the book isn’t graphic or sexual. The details aren’t shocking as they are revealing. Admittedly, reading the book only enforced my disdain of the many farangs I see hanging out in the bars. Nor has it encouraged any sympathy for the bargirls. The notion that they were forced to become prostitutes is frequently mocked by the author. I certainly was preoccupied when at the bar in Phuket. Instead of drinking, I found myself really paying attention to the dynamics of the Thais working around us. Spotting the mamasan, the guys paying the fines, the bouncers and their interactions with the women. My newfound knowledge had suddenly turned my nightlife to a spectator sport.